"Hey Man, I Messed Up"
Letting go makes you happier. A few years ago I had a falling out with a long-time friend of mine. It was unfortunate and was all over nothing, really. The details of why we stopped talking were not important, what seemed most important was the unyielding nature of either of us to say “Hey man, I messed up, this is stupid.” Last year he hit a really important milestone in his life and I reached out to congratulate him. What struck me as really healing was that not only did I reach out, I allowed myself to reach out. He never replied but I got a lot off my shoulders and have not looked back since. Sure, I still think about what could have been, but I do it with no regrets or thinking “what if?” Dwelling on the past seriously impacts the future. It causes procrastination and curbs our ability to move forward. 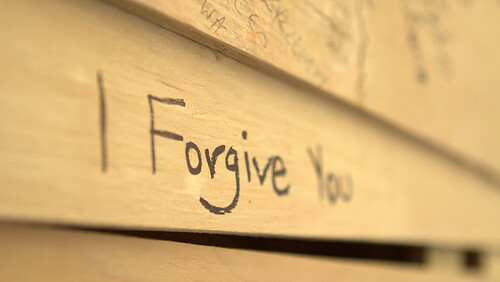 We should start by forgiving ourselves, not too easily I might add, and then moving towards forgiving others. Maybe go one stop further and not only apologise but act on our forgiveness. By trying to punish others for their wrongdoing, we risk so much more than losing a friend. We risk losing a part of ourselves.